INK on PAPER PRESS is a Fine Art print and editioning studio based in Wiltshire, UK, founded in August 2014 by Amy-Jane Blackhall. 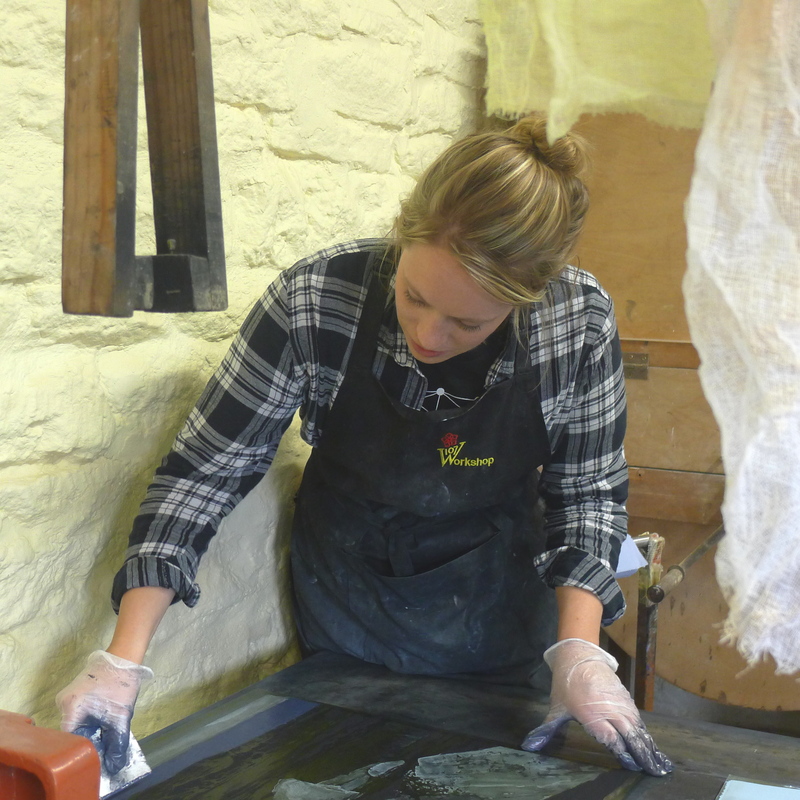 After graduating from University with a Fine Art degree Amy-Jane worked at 107 Workshop under Master Printer Jack Shirreff for three and half years before it’s closure at the end of 2011. She worked on editions for Gillian Ayres, Deborah Bell, Celia Cook, John Eaves, Howard Hodgkin & Patrick Hughes. 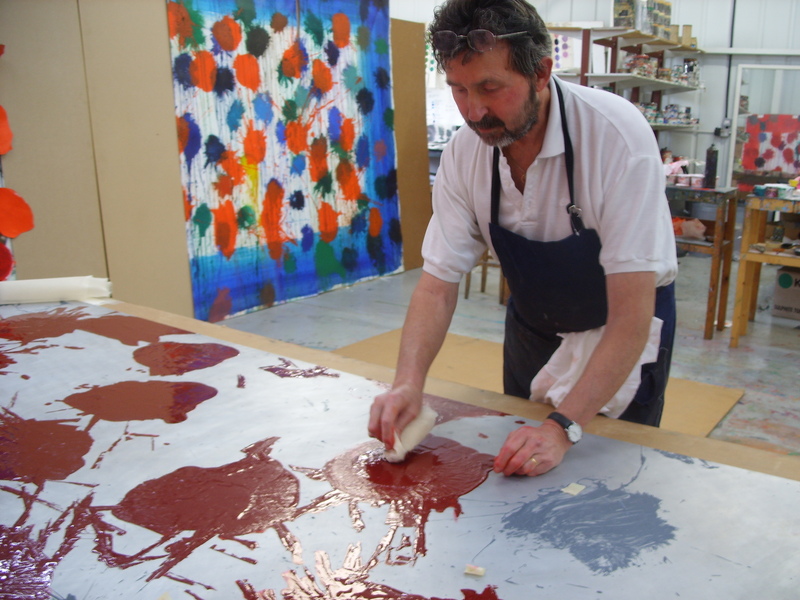 Jack Shirreff wiping Howard Hodgkin ‘As Time Goes By’ carborundum plate. Building on that experience Amy-Jane was offered work at Rabley Drawing Centre, near Marlborough, Wiltshire as Studio Printmaker. Her roles for a further three years included the management of the Drawing School and weekly Studio & Print sessions, as well as working on in-house print publications with artists Naomi Frears, Endellion Lycett Green, Sara Lee, Nik Pollard & Emma Stibbon RA and assisting at the Rabley Contemporary gallery. The INK on PAPER PRESS studio spaces enable Amy-Jane to work with artists on a one-to-one basis to originate and edition prints, alongside developing her own art practice and providing technical support at the Studio & Print sessions at Rabley Drawing Centre.